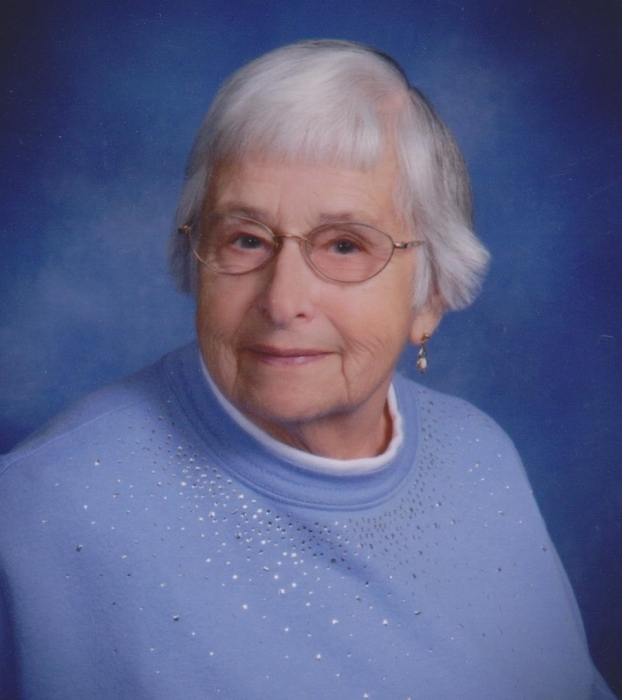 Funeral services for Doris Holm will be held 10:30 A.M. Thursday August 30, 2018 at the United Church of Grand Meadow with the Rev Jon Marburger officiating. Visitation will be held from 5:30 – 7:30 P.M. Wednesday August 29, 2018 also at the United Church. Visitation will continue for 1 hr prior to the service at the church on Thursday. Burial will be in the Grand Meadow Cemetery. Doris Holm, age 93, of Grand Meadow died Monday August 27, 2018 at the Grand Meadow Care Center where she had resided a short time. Doris E. Neel was born October 31, 1924 in Renwick, IA to Cecil and Leona (Hunt) Neel. She attended school in Clear Lake, IA and was united in marriage to Johnie Holm on January 22, 1950 in Mason City, IA. Together they farmed in the Mason City area until moving to Grand Meadow in 1958 where they continued farming until their retirement in 1991. Doris enjoyed doing puzzles, fishing, baking and playing cards, especially 500. She also enjoyed traveling doing needlework and embroidery, making baby blankets for all of her grandchildren. Doris was very active in the United Church of Grand Meadow being a part of the Ladies Groups and teaching Sunday School. She is survived by her children: Chris (Mary) Holm of Rochester, MN, Ann (Kevin) Paulsen of Albert Lea, MN, Diane (Terry) Howard of Spring Valley, MN and Brenda (Duane) Olson of Dodgeville, WI; 11 grand-children, 15 great-grandchildren, 2 sisters; Ina Neel and Della Swift both of Nevada, 5 brothers; Dale (Betty) Neel and John (Sharon) Neel both of IA, Kent Neel of AZ, Harvey (Mary Lou) Neel of IA and Delmer (Vonnie) Neel of IL. She was preceded in death by her parents, her husband Johnie in 2004, 2 sisters and 2 brothers.